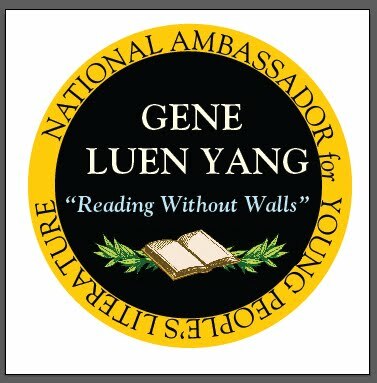 The Children's Book Council, Every Child a Reader, and the Center for the Book in the Library of Congress have announced the appointment of Gene Luen Yang, Printz Award winner and two-time National Book Award finalist, as the 5th National Ambassador for Young People's Literature! Your platform as National Ambassador is "Reading Without Walls." Could you tell us what that means to you? 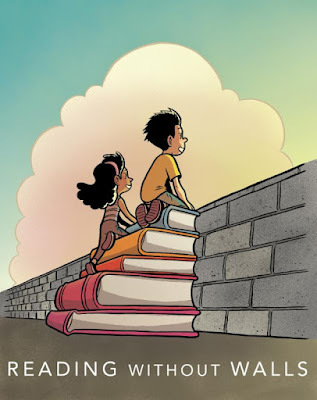 Gene Luen Yang: Sometimes walls are a good thing. For example, our homes are defined by walls. But if we never go outside our walls, then our homes become prisons. Reading takes us outside our walls. By reading, we get to know people who look and think and live differently than we do. We gain knowledge and skills others don't expect from us. We discover passions we never knew we had. Reading Without Walls means being open to new kinds of stories. It means reading books that others might not expect us to like, that we ourselves might not expect to like. It means reading books with covers that show characters who don't look like us. It means reading books in formats that may be unfamiliar. What are the barriers to reading that you've experienced in your own life? Even now, I'm a slow reader. My mind tends to wander a lot, so for the first several pages of any book, no matter how beautifully written or illustrated, I have to force myself to pay attention. What I've learned though, is that once I'm in, I'm in. With a good book, the effort I put in at the beginning pays off a thousand-fold. I love movies and television shows and cartoons, but if I really want to get to know a character, if I really want to get inside their head and heart, nothing beats a good book. What do you hope to accomplish in your role as National Ambassador for Young People's Literature? Gene Luen Yang: Broadly, I hope to get more kids reading more books. 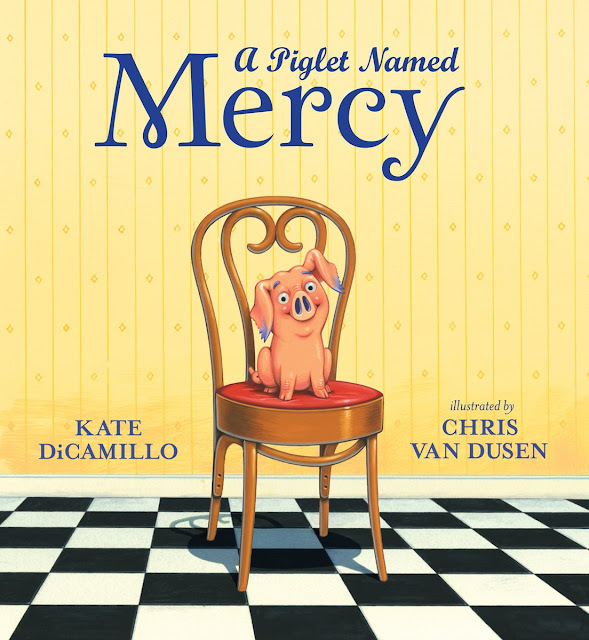 Specifically, I hope to get kids reading more diversely, in every sense of the word "diverse." Exploration is one of the best parts of childhood, and reading is a great way to explore. Maybe a kid only reads stories about kids who look like her, who live the way she lives. I want her to read a book about someone different. Maybe a kid only reads stories set on other planets. I want him to read one set in a school like his own. Maybe a kid has never read a graphic novel before. I want him to give one a try. Maybe a kid only reads graphic novels. I want her to try reading a prose novel, a hybrid-format novel, or a novel in verse. What are some of the top changes you'd like to see in how books for young people are talked about in this country? Gene Luen Yang: In the traditional book market, books for young people are tightly categorized. "These books are for this kind of young person, at this age." I came up in the comic book industry, so this all was new to me. In most comic shops, most of the comic books are all grouped together. Categories can be very useful. I mean, can you imagine trying to find something at a grocery store that didn't categorize its product? How would you find a box of cereal? But we have to be careful not to let categories become limitations. A box of cereal is just a box of cereal, but the appeal of a good story knows no bounds. A good story can connect to surprising people in surprising ways. Gene Luen Yang: I'm really excited to meet young readers, writers, and artists. I love chatting with kids about anything related to story: writing, drawing, where ideas come from, favorite superheroes. Before becoming a full-time author, I taught high school for seventeen years. I have to confess, I miss my classroom. Being National Ambassador will give me the chance to connect with students all over the country. That'll be super-fun! Gene Luen Yang began drawing comic books in the fifth grade; he began making comics professionally over 15 years ago. In 2006, his graphic novel American Born Chinese (Macmillan Children's Publishing Group/First Second Books) became the first graphic novel to be a finalist for a National Book Award and the first to win the American Library Association's Printz Award. It also won an Eisner Award for Best Graphic Album. In 2013, Boxers & Saints (Macmillan Children's Publishing Group/First Second Books), his two-volume graphic novel about the Boxer Rebellion, was a National Book Award finalist and won the L.A. Times Book Prize. Gene has also won an Eisner for The Eternal Smile, a collaboration with Derek Kirk Kim. He is the author of the Secret Coders series (with artist Mike Holmes) and has written for the hit comics Avatar: The Last Airbender and Superman. Yang lives in the San Francisco Bay Area. Learn more at geneyang.com. Congratulations, Gene! Very excited for your "Reading Without Walls" platform!